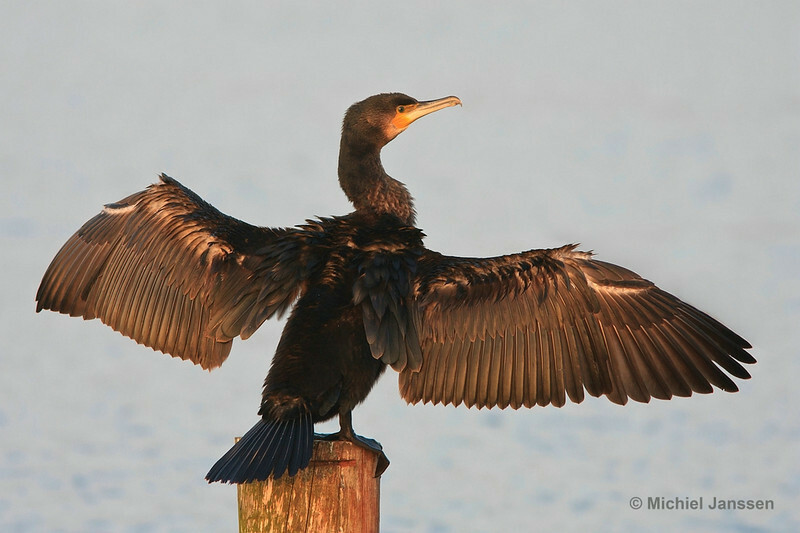 The Great Cormorant's feathers are not waterproof like those of other waterfowl. Thus, they air dry their feathers after a swim. Photo taken from the hide at lake Starrevaart (Leidschendam, the Netherlands) on 13 November, 2011.